If you are like many nonprofit professionals, you have a nagging feeling you should be doing more with planned giving and discussing it more frequently with your organization’s supporters. Planned giving can be a little intimidating, and when you’re busy with other pressing matters (like meeting annual fundraising goals) it’s an easy to topic to avoid. But planned giving is too important to put off (which, you know, hence, that feeling). So read on—it’s easier than you may think to have a stronger planned giving program and to better serve your loyal supporters. Interestingly, more often than not, charities are unaware when donors have plans to leave a bequest to their organization. As many as 75% of realized estate gifts are surprises. Perhaps that’s not a surprise given people’s sensitivity about the topic. It’s natural for most of us to find estate planning a bit uncomfortable and sometimes difficult to consider. Creating a will can feel onerous and stressful, and it reminds us that we are not here forever—no fun. But those who do complete a will and include a charitable bequest often report real satisfaction—affairs are in order, loved ones are supported and a permanent legacy is created that reflects the donor’s values. While helping donors establish certain planned gifts can require technical expertise, some gifts are simple to accomplish, such as listing a charitable organization as the beneficiary of a retirement asset or life insurance policy. In many cases, this can be done in minutes online. These gifts occur outside of the estate/probate process, and may have better tax implications for the family. Other common planned gifts may require more effort and specialized support, such as leaving a specific asset, dollar amount or percentage of an estate to a charity through a will or trust. In these cases, providing the donor with sample language and your tax identification number will support the process, and it’s always good to encourage them to consult an outside advisor. Speaking of which, building relationships with local advisors can also help you in your work—get to know people you trust who may be able to assist individuals who are considering making a gift to your organization. Consider seeking help from your community foundation, too. Philanthropic advisors are here to assist you and donors who are considering making a gift—immediate or planned—to your endowment fund. Here are a few more opportunities to consider as you work to strengthen your planned giving program and better serve the needs of your supporters. First and foremost, talk to your organization’s loyal donors about opportunities to leave planned gifts. Donors to your cause demonstrate that your work is a priority, and may appreciate the chance to consider making a lasting impact. If you don’t have one, create a simple legacy program that recognizes those who have made a commitment to support you through their estate. Share stories about others leaving planned gifts. Plant seeds and inspire others to think about how their own legacy will make a difference. Make tools and sample language available. A simple Statement of Intent will allow donors to inform you about their future intentions, let you know how they would like their gift used, and how they would like to be recognized. Celebrate those who have made legacy commitments. Let them know how much you appreciate their support and that you want to continue earning their trust. Think of creative ways to honor these individuals and to demonstrate the value of their commitment. Incorporate legacy into campaigns. Use campaigns today as opportunities to raise gifts for tomorrow. This creates a longterm plan to sustain your organization and provides an opportunity to involve those who may not have the ability to give larger gifts during their lifetime. Engage your leaders in thoughtful discussions and activities related to legacy giving. Volunteers are your best advocates in the community. Decide today on a policy for what you will do when you receive unexpected and undesignated planned gifts in the future. Planned gifts can be a great way to grow your organization’s endowment, and policy that takes a long term view can help you get there. Do some or all of these things and you’ll develop deeper relationships with your supporters, learn about their priorities, gain awareness of future gifts you might not have anticipated, and understand what your donors hope to accomplish through their support. Inspire others to consider their legacies, and get rid of that nagging feeling—replace it with the knowledge you are helping people who care become an even more integral part of your organization and mission success. 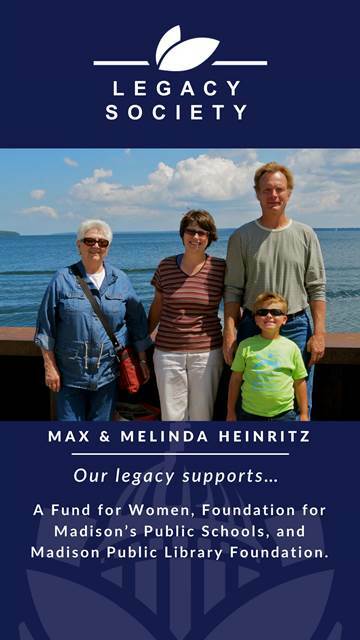 Get in touch with David at (608) 232-1763 or email him at dkoehler@madisongives.org.